I cannot resist passing along the following odd story that was sent to me in my mail. 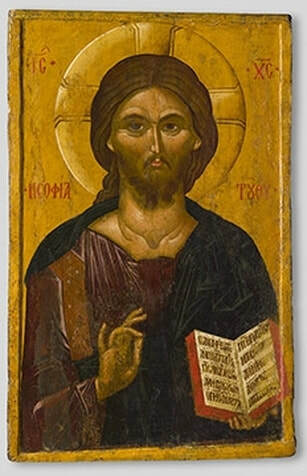 It seems the Hermitage Museum in St. Petersburg, Russia, removed an ancient icon depicting Jesus Christ from its display some years ago after it was feared that an energy field from the icon caused the deaths of several staff members. Professor Boris Sapunov told the London Telegraph he complained about the effects of the icon for years and sought the removal after he thought the art piece led to the deaths of three or four people working as facility supervisors. "It's an inexplicable phenomenon and it started long ago," Sapunov said. "Three or four people died of diseases, and the coincidence began to make me wonder. When the seats (of employees) were moved away all the trouble stopped." He said he first told his story to a Russian newspaper, the Komsomolskaya Pravda. After that story appeared the museum received complaints from members of the public. The doctor then expounded on his theory: "There is no mysticism about it. Everything can be explained with physics. High frequency signals form the 'biofield' of any living or non-living object, including icons. "If someone comes up to it, the icon's radiation sets the frequency of the brain's radiation. The biofield of an icon helps people find a way out of a trouble; the faithful think it is a miracle," he said.